To Love a Rose: Happy New Year, Happy New Post! Happy New Year, Happy New Post! 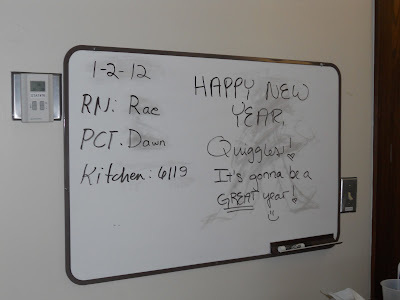 A note I wrote to mom on New Year's Eve...it IS going to be a GREAT year! Today, mom is out-patient again for a while; which is fabulous and exciting. Mom always loves being OUT. I don't blame her, it's hard to feel like a normal person when you spend months at a time in a hospital room wearing a gown and eating off of trays. So, we're all happy she could get out again. Actually, it's pretty amazing/miraculous that she's been allowed out at all to begin with. One of her nurses informed her that most leukemia patients in her position, are so bad they aren't allowed to be out-patient EVER in the whole process, and this is mom's SECOND time as an out-patient; so, that's a testament to how powerful and wonderful God is - keeping mom safe and her numbers up every step of this journey. Being out-patient, she still has to stop by the stem cell unit out-patient clinic every day to have her blood drawn in case she needs something like potassium, magnesium, or blood/platelets. But so far this cycle, she hasn't had any real issues. Of course, she's been tired, a bit dizzy, etc. ; but it's nothing compared to what she could be feeling, so we are grateful! We also got some amazing news today: a committee comprised of mom's two doctors, another doctor, and the stem cell world-wide databank liaison met today to pick mom's donor out of her three possible donors! All three donors were notified a few weeks ago that they were possible matches for mom, and all three signed the releases to continue to round two of testing and on to the end if necessary. Thank you GOD for these amazing, willing, giving people! Once the committee picks the donor with the closest match possible, then said donor will be given shots to stimulate their bone marrow to begin producing over-time for about 5-10 days. After that time, their stem cells/bone marrow (we were told these phrases are used interchangeably) will be "harvested" (a fairly painless process for the majority of people who go through it that is akin to a combination of giving blood and dialysis), frozen, and sent here to America. It is amazing to me how God has had a hand in this from the beginning. His plan is so far-reaching and always has been; He truly cares for us, and wants to heal us and get us through whatever we are enduring. 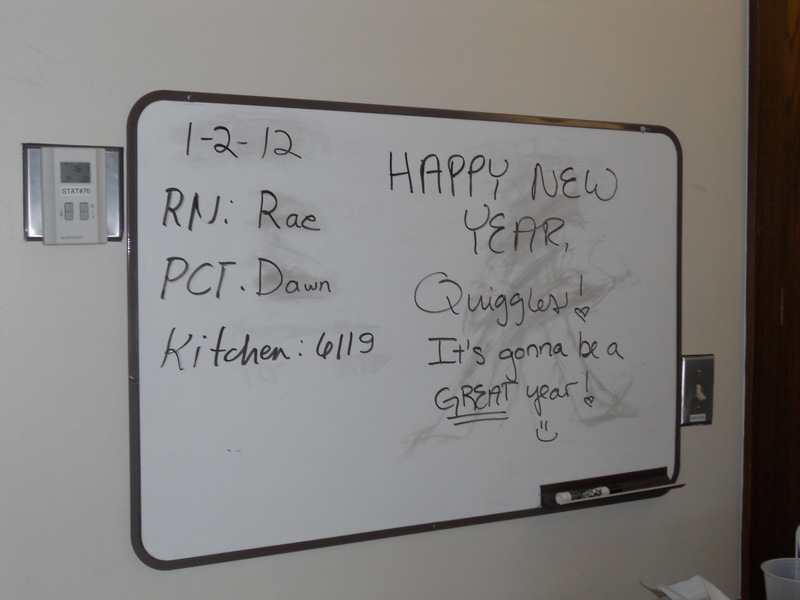 Mom was super tired on New Year's Eve; so, Mr. C and I went back to the Guesthouse North to hang out with the other patients/families there celebrating in the common room downstairs. The CTCA is amazing, and always tries to have festivities available for each holiday/special time of year for those of us forced to be here when we'd much rather be home. We had a pretty decent night...there was sparkling cider, music, party hats/noise makers/funny glasses, and all sorts of finger snacks. 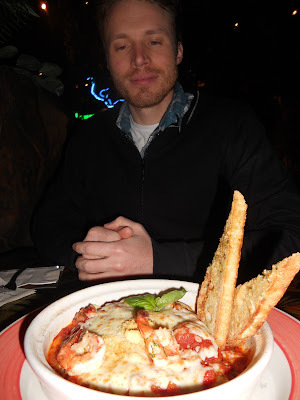 It was really nice. 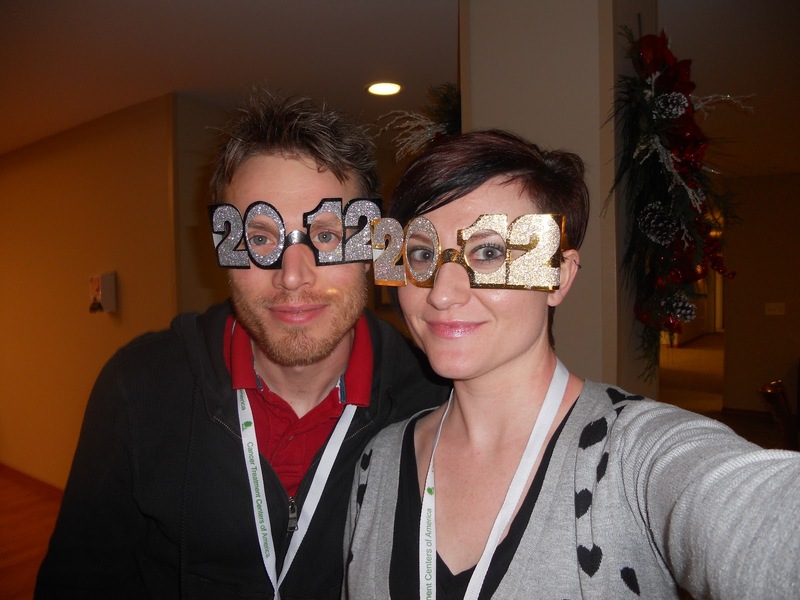 Mr. C and I in the CTCA Guesthouse North for New Year's Eve. The next day, Mr. C and I had a day off from the cancer center; my sister, M and her husband C, stayed with mom. This was literally my first day away from the hospital since November 16th. We hardly knew what to do with ourselves...we literally mostly just wandered around for the first part of the day; it felt so weird to not be on a schedule or hurry up to get to the hospital room to sit and wait all day. We ate at the Rainforest Cafe (a place I had not been to since I left Nashville in 2004); then we visited a place called Serpent Safari to hang out with a bunch of cool reptiles - it was a blast! And lastly, we went to a movie theater and watched the new Sherlock Holmes. It was great to be "normal". Mr. C with his seafood cannelloni. 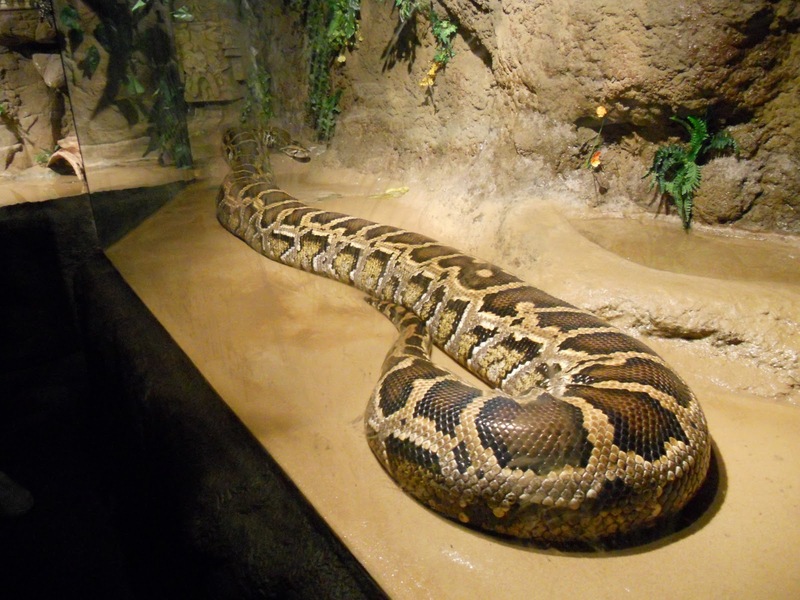 The world's heaviest snake (not longest, just heaviest); she was beautiful! 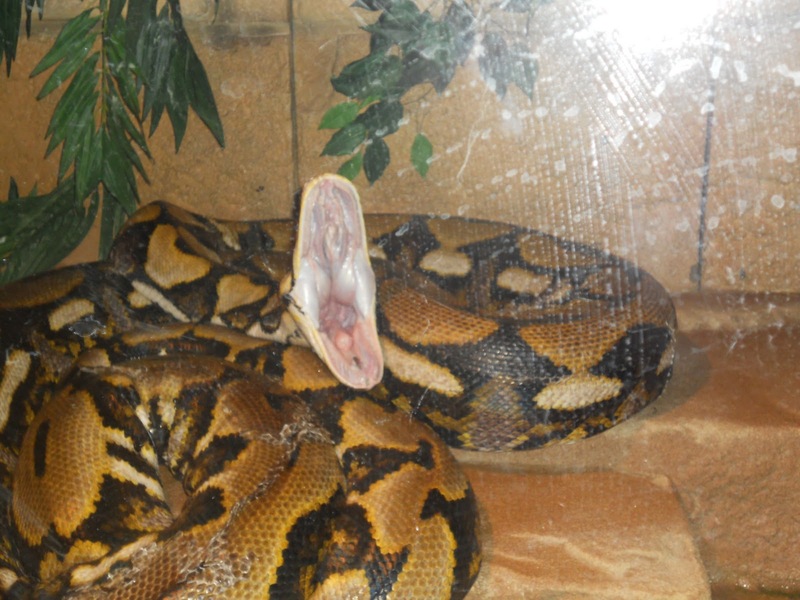 Can't believe I caught this shot of this snake yawning - so cool! 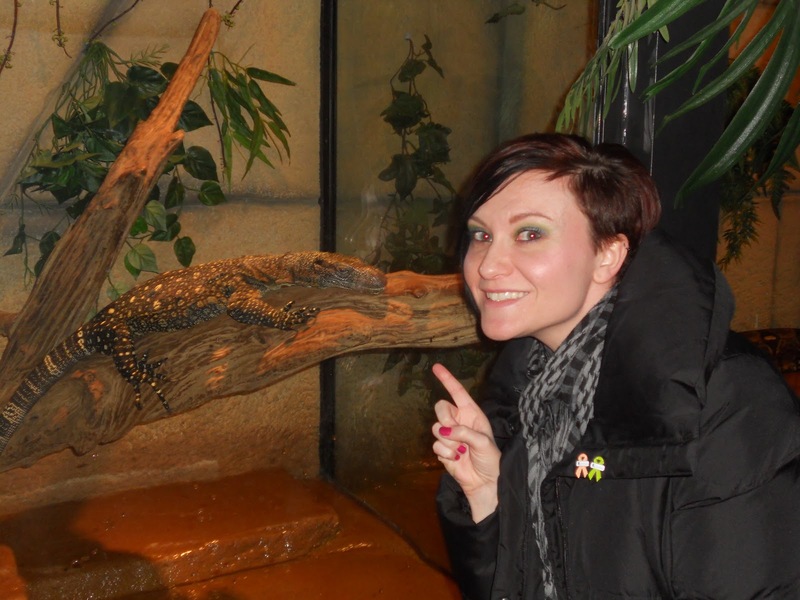 Me with my favorite animal at the zoo, a crocodile monitor lizard; he was so adorable! I hope you all had a fabulous time ushering in the New Year; and I wish for you ALL a year to follow that is over-flowing with all of God's greatest blessings! We are so thankful for the posts from you girls! Our prayers for Kerry and Whitney continue with inspiration from answered prayer! We do serve an awesome God, who loves us more than we can ever imagine. I wonder how many are choosing to seek and follow our Creator after reading your posts. God wants personal relationships with His people--far beyond church attendance, walking the talk and being Christ-like in our mind-set of who He is. A personal relationship puts all that into place by trusting God with our lives, giving our "whole life" to Him. May your family be blessed beyond measure in 2012. Love you all. Your family is such a blessing to so many, the trials you have all endured, the faith and love that you show and your everlasting trust in God and what He can and has done for you is truly a living testament to His many Works!! There are so many hurdles in our lives and you have, no matter how hard the race or just to jump over that next hurdle is, you keep going on! You are one amazing family, that each one of us can learn from!! God couldn't have picked a more beautiful, loving family to work through~what a testimony to so many!!! So glad your Mom is able to be out patient for now!! Praise the Lord!! God is Good!! PS~Glad you were able to take a break, if only for a day~rejuvination is a good thing!! Love you all! However, since most people live in the present moment, rather than in anticipation of future endeavors, tattoos remain popular.